That being said, my review is written through the filter of that perspective. I see no need to give the specs for the shoe as you can easily find everything you need to know at Nike's Website. Instead, I will focus on my initial impressions of fit, comfort and ride on various terrains. I hope you find my perspective helpful. I've never been a Nike guy. I've always found their shoes to be too narrow for my foot but I've got to be honest; When I first tried on this shoe I thought, "This is exactly what I had hoped the KinvaraTR would be." This shoe sports a 4mil offset, wide toe box, soft upper, and a cushy, flexible midsole. The sock-liner, which is designed to allow the runner to wear the Kiger without socks, is luxurious and the burrito tongue helps the shoe to lock your foot into place without squeezing it. I was quite pleased with the way the shoe felt underfoot but I was a little concerned with how the shoe would perform with such a mild looking lug design and no rock plate. I could think of no better way to really test this shoe than to take it out for 8 miles on the gnarliest trails around after about 24 hours of nearly continuous rain. On this run I traversed steep ascents and descents, mud, wet sand, a stream crossing, large rocks and slippery, wet, wooden bridges. I felt that this run would offer a good all around experience with a solid understanding of how these shoes will perform under just about any condition the average trail runner might face. My run started in a soggy wet field. The shoe performed fabulously which should be no surprise considering that Nike boasts about its lug design being derived from a XC shoe but what did surprise me was how at home this shoe felt on the trails. Being someone who has generally been drawn to a trail shoe that looks like it has a mud tire glued to the bottom of it, I was somewhat amazed at the Kiger's offroad performance. The shallower lugs helped prevent the shoe from collecting mud, increasing traction and preventing me from feeling bogged down by the extra weight of mud caked shoes. The absence of a rock plate makes the Terra Kiger feel nimble on even the most technical of terranes and the Zoom technology in the midsole provide more than adequate protection against roots and sharp rocks looking to pierce the bottom of your foot. The sticky rubber outsole provided excellent grip on both the large rocks and the wet wooden bridges I traversed. I often found myself running abnormally fast for this route, blissfully unconcerned with the varying surfaces beneath me and while I haven't yet tested this shoe on pavement, the mild lug design and the soft underfoot feel lead me to believe that this will be an excellent Door-to-Trail shoe. The upper is a little more substantial than what I am used to and at first I was concerned that this shoe may feel too warm and not breath enough but those concerns quickly vanished as I actually began running. The shoe breaths quit well and boasts excellent drainage as well. While my feet did get rather wet on my run today, the Kigers never felt as if there was standing water in them. What came in seemed to exit the shoe just as quickly. I am very pleased with these shoes. It is my intent to use them on my next 50k in just over two weeks. I expect this shoe will provide me with more than enough support, cushion and traction to traverse the course without any foot issues. I would recommend that anyone who has struggled to find a trail shoe they like and instead chosen to stick with a road shoe, check out the Terra Kigers! They offer that soft, flexible, light, road shoe feel without sacrificing performance on the trail. Ultimately, I find this to be an excellent, all around trail shoe and expect that this will be a staple for me from here on out. So, until next time; train hard, eat right and live life to the fullest! After running a 50K on some of the most brutal trails I have ever experienced I can say with confidence that I still love these shoes. They offered plenty of support and protection for the rugged terrain. The traction they provided appeared to be as good or better then the traction provided by the shoes that the other racers were wearing. And we're talking about some steep, long climbs and descents! Even without a rock plate, roots and rocks were not a problem and my feet felt adequately protected for all 32 miles. These are definitely going to be my go to trail shoe for every distance. Nathan, thanks for the review and I really enjoy the blog! Any updates on the Terra Kigers after 50KM in them? 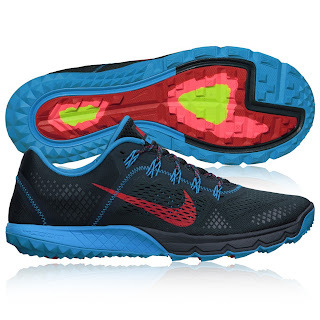 I am considering these shoes and am currently running a mix of roads, unimproved roads and trails. Any concerns about the sole wear? Thanks!! I hope the update is helpful. I still have less than 100 miles on these shoes so I can't speak to the wear quite yet. I have run a little pavement and they seemed to have adequate cushion & flexibility. 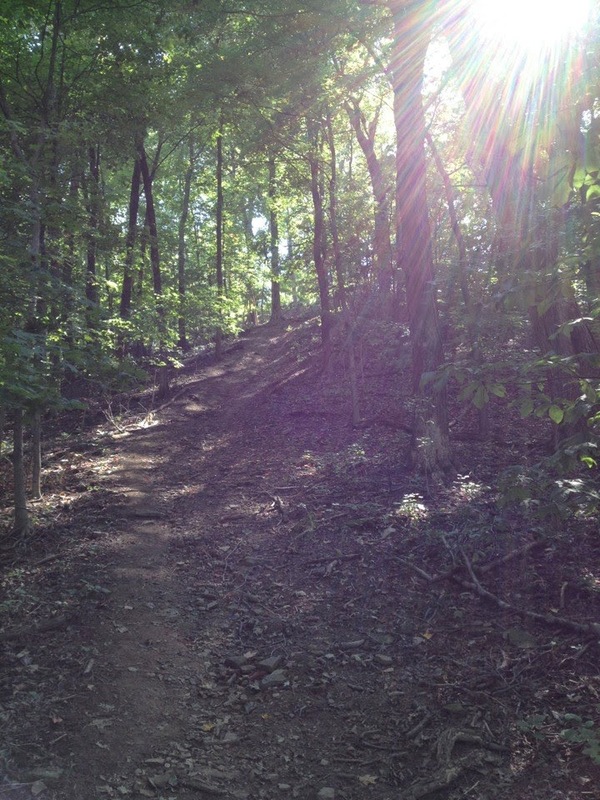 I plan to run another 50K in December which is 50% aggregate and pavement and 50% trail. 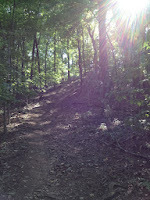 I'll post another update then and let you know how they did with a lot of trail/road mix. Nice review on the TKs, I am still not quite used to the cushioning but they are fantastic on the down hills. Thanks for a great blog. How did you find sizing on this shoe? I can't find any local stores that stock them and it looks like I'll have to buy online. I've heard they run a little small, and have read advice to size up one half size. Can you comment on your experiences? They seem to run true. The toe box is a little wider than many shoes but I like having the extra room for toe splay. Nike Shox NZ and Nike Shox R4 are two of classic style of Nike Shox to meet the need of both man and woman. Our cheap Nike Shox plus classic styles will give you a totally different feeling.